The ancient city of Angkor in Cambodia has fascinated scholars and visitors alike since its rediscovery in the mid-19th century. All are wonderstruck by the beauty and multiplicity of the sculptures that adorn its temples and structures and are overwhelmed by the sheer size of Angkor. There is nothing to equal it in the archaeological world. A great deal was already known about the history of Angkor and the brilliant Khmer civilization that built it thanks to pioneering work by archaeologists and scholars, but our knowledge has now been completely revolutionized by cutting-edge technology. Airborne laser scanning (LiDAR) has revealed entire cities that were previously unknown and a complex urban landscape with highways and waterways, profoundly transforming our interpretations of the development and supposed decline of Angkor. 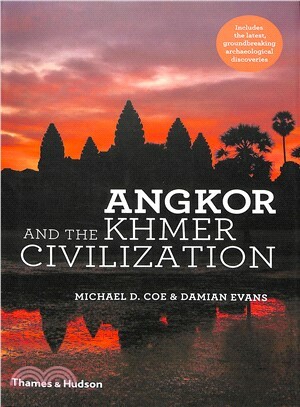 In this comprehensively updated edition of Angkor and the Khmer Civilization, respected archaeologist Michael Coe is joined by Damian Evans, who led this remarkable programme of scientific exploration, to present for the first time in book form the results and implications of these ground-breaking discoveries that are rewriting history.